Osteoporosis is a silent clinical condition that mainly affects women (about 80% of all cases) after menopause, and is characterized by a net bone loss. Osteoporosis makes bones fragile, with a risk of fractures, even after only a minor trauma. A major incidence of traumatic fractures increases disability, pain and even mortality. It can be considered that osteoporosis is a disease that weakens the skeleton beyond what would be expected from the normal physiological aging process. A new drug, Abaloparatide, yet to be commercialized (as of September 2016), stimulates bone formation and reduces the risk of fractures. The result of a Phase 3  clinical trial, sponsored by the manufacturer, Radius Pharmaceuticals, has been published. This study compared Abaloparatide with a placebo, and Teriparatide   (Forteo®), manufactured by Eli Lilly. Abaloparatide was formulated for subcutaneous administration. It is closely related to a peptide parathyroid hormone (PTH), showing an affinity for PTH-1 receptors. Abaloparatide’s direct competitor is Teriparatide. In the United States, the cost of a monthly treatment with Teriparatide is $3,100. (Eli Lilly increases the price of the drug Teriparatide twice a year between 9% and 15%). Thus, Forteo® cost $947.20 in 2010 and $2,551.77 in early 2016. [In the US, prices of medicines are not regulated; government intervention is prohibited by law]. Radius Parmaceuticals have to take into account the price of Teriparatide, Abaloparatide’s most direct competitor, if the latter is to be included in the list of insurance beneficiaries and prescription managers. The manufacturer, Radius, a start-up company, should bear this in mind when deciding what their trading price of Abaloparatide should be. [On writing this article in September 2016, the trade name of Abaloparatide was yet to be decided]. At present, many insurance companies only partially finance treatment with Teriparatide, leaving patients the alternative of the cheaper and almost obsolete bisphosphonates. These older drugs do not produce osteoblast action; they merely limit the slowing down the loss of bone mass (osteoclast activity). In addition, bisphosphonates can produce rare, but serious, side effects, such as osteonecrosis after maxillofacial interventions  and diaphysis femur fractures . Many clinicians consider the price of Forteo® immoral, mainly because, in the US, many patients cannot afford the co-payment, and also reject the option of bisphosphonates due to their possible adverse side effects, which have been deliberately exaggerated by the sector of the pharmaceutical industry which sells others drugs for the treatment of osteoporosis. J. Scott MacGregor, spokesman for Eli Lilly, justifies of the high price of Forteo® arguing that it is "expensive to manufacture", and that "the laboratory has come to agreements with insurers to facilitate patients’ access to treatment." Abaloparatide, like Teriparatide, must be injected daily, but while Abaloparatide only stimulates osteoblastic activity (bone-forming), Teriparatide stimulates both osteoblastic and osteoclastic activities, although the net result facilitates osteogenesis. Densitometric ratings show that osteoporotic bone seems to be saturated with Abaloparatide more quickly than with Teriparatide. However, a short Phase 3 clinical study cannot conclude that a long-term decrease in fracture risk can be inferred from these observations. The results with both drugs were clearly more effective when compared to the placebo. After 18 months of treatment, within the study group treated with Abaloparatide, only 4 out of 824 women suffered another vertebral fracture; these occurred in 8 out of 818 women in the group that received Teriparatide (comparator group), and in 30 out of 821 in the placebo group. This study is pivotal in order to be able to ask the Food and Administration for authorization to market the drug. Osteoporosis, usually viewed as a single clinical entity, has its nuances, which are rarely taken into account when prescribing the most suitable treatment. Simplistically speaking, there are two types of osteoporosis: one which causes a rapid loss of bone mass, and a second in which bone loss is what would normally be expected, but where osteoblastic activity is insufficient, resulting in a net loss of bone surface. [Bear in mind that bone turnover occurs on the surface of the bone] .In the first group of patients, the most suitable treatment is the administration of drugs which slow down excessive osteoclast activity, such as classic bisphosphonates, and the monoclonal antibody Denosumab . For patients suffering the latter type, the most appropriate drugs are those that promote the building of new bone (osteogenesis): Teriparatide, and Abaloparatida. Teriparatide treatment has a limited period of use (two years), due to an increased risk of bone cancer observed in experimental studies in rats when using doses several times higher than the equivalent that would be used in human therapeutics. This kind of risk has not been observed in humans. However, since this information has been included in prospects, insurance companies limit the reimbursing of treatment to a maximum of two years. The development of Abaloparatide arose from cancer research. Two endocrinologists, Andrew F. Stewart (director of The Diabetes, Obesity and Metabolism Institute, Icahn School of Medicine, associated with Mount Sinai Hospital) and his mentor, Arthur E. Broadus, of Yale University, found that some patients with cancer suffer hypercalcemia. They studied the causes of this condition. It is a consequence of a release of calcium from the skeleton caused by a hormone, so far undiscovered. How does this hormone, which causes depletion of bone calcium, cause bone growth? At first glance, this is apparent oxymoron. The explanation lies in how the hormone is secreted into the blood. While a continuous flow of this hormone (such as during physiological secretion) leads to the release of calcium from the skeleton to the blood, the administration of a dose (bolus) of the hormone subcutaneously, causes osteogenesis. Teriparatide also leaches bone calcium into the blood when administered continuously (intravenous infusion), but if administered as a bolus it stimulates bone turnover, although the net result is favourable, with net increase of bone mass. This is why treatment with Teriparatide is preferred. It is expected that if, finally, the marketing of Abaloparatide is authorized, its prescription will be subject to restrictions. Predictably, it will be aimed at high-risk patients, such as those who develop osteoporosis at relatively early ages, as well as those patients who have suffered one of the rare side effects of bisphosphonates. There are many unresolved issues. Prolonged studies with many patients are necessary, but this clinical setting is technically unfeasible. Therefore, the Regulators approve new drugs against osteoporosis under the criteria of "non-inferiority" with respect to other similar drugs already on the pharmaceutical market. 1. Miller PD., et al. Abaloparatide vs Placebo Effect of New Vertebral Fractures on in Postmenopausal Women with Osteoporosis. A randomized Clinical Trial. JAMA 2016; 316 (7): 722-733. 2. Quattrocchi E., H. Kourlas. Teriparatide: a Review. Clin Ther 2004; 26: 841-54. 3. Anonymous. Teriparatide For Postmenopausal Osteoporosis. Drug Ther Bull 2004; 42: 93-5. 4. Microstructured Transdermal System. Consult: http://solutions.3m.com/3MContentRetrievalAPI/BlobServlet?lmd=1320085245000&locale=en_WW&assetType=MMM_Image&assetId=1319208531599&blobAttribute=ImageFile.September 2016. 5. López-Tricas, JM. Primer anticuerpo monoclonal para tratamiento de la osteoporosis. 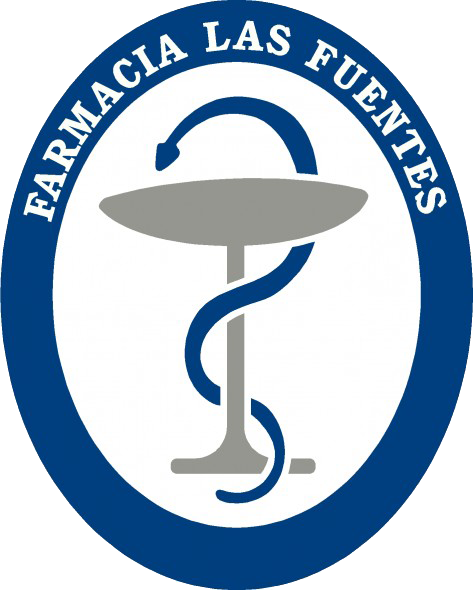 European Journal of Clinical Pharmacy 2011: 13 (1): 34-42 (Spanish). 6. Tarassoff P., Hei Y-J. Osteonecrosis Of The Jaw and Bisphosphonates. N Engl J Med 2005; 353: 101-102. 7. Kwek EBK, et al. More on atypical fractures of the femoral diaphysis.N Engl J Med 2008; 359: 316-17.